*A record breaking year for both online and phone order ticket sales. *The most DJ’s playing on site at one time, totaling a record eight on Saturday. *A record number of musical and cultural performances on site during periods of polo play including: The Phoenix Symphony (showcasing Mozart), Phoenix Theatre with some of the great Broadway musical songs of all time, bagpipes performance by Ford Dudley, Phoenix Opera, and the Phoenix Boys Choir, mute rapper Isaiah Acosta with vocals by Trap House, Monica Nia Jones performing a violin rendition of AC/DC’s “Thunderstruck”, and even a poetry slam. For many the highlight of the day’s music was watching and listening to the Pilgrim’s Rest Gospel Choir, representing the state’s largest African-American congregation, singing the national anthem as Red Bull skydivers delivered the American flag to the field. *New concepts were successfully incubated such as the debut of Hall Pass, the most unusual pop-up sports bar, the all-new F.A.B. Tent, standing for fashion, art and beauty, the “World’s Farthest Rugby Sevens Match” led by Arizona State University’s rugby team, a second mid-field skybox on the north side of the polo field courtesy of Talking Stick Resort, and The Apex Cup, courtesy of the landmark new Apex Motor Club in Maricopa, Arizona, which recognized the top cars of the approximately 200 on site. This year also marked the first time Ralph Lauren model and world famous polo player, Nacho Figueras played Scottsdale. 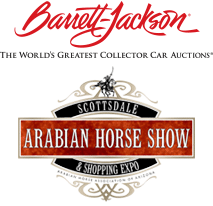 He was part of the winning Barrett-Jackson Aspen Valley Polo Team, along with Melissa Ganzi and Grant Ganzi. They captured the event’s signature Molina Cup for the fourth consecutive year. They defeated the Wales Polo Team sponsored by Bentley Scottsdale, 12 to 5. Other exciting matches on Saturday and Sunday also saw the Scottsdale Maserati Arizona Polo Club team prevailing in a Saturday match against the Talking Stick Resort Italy Polo team 8 to 6. Then the Molina Fine Jewelers Palm Beach Polo Club defeated Russ Lyon Sotheby’s International Realty’s World All-Stars team 8 to 5. Saturday concluded with Safeway Albertson’s Work to Ride team beating the Spiritual Gangster Polo Azteca team 5 to 4. Work to Ride returned to the event after several years. On Sunday, the ladies representing the France Luxe team proved to be victorious in the “Battle of the Sexes” match, honoring the late Sunny Hale, beating Sanderson Lincoln’s mens team 8 to 1. 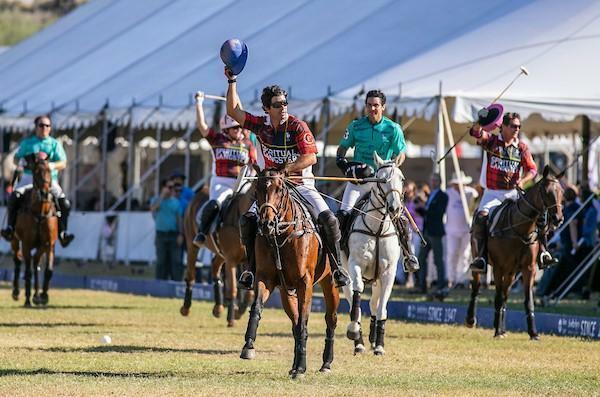 The day concluded with the International Match with Melissa Ganzi, Nacho Figueras, and Juan Bollini representing Spiritual Gangster with a final score of 9 to 4 against Marc Ganzi, Carlitos Gracida and Juancito Bollini representing Talking Stick Resort. Rose said “it couldn’t have happened without the blue-chip roster of sponsors, partners, and guests that make it all possible. We’re grateful. We’re appreciative. And we’re very fortunate to be in their very good company.” Here is a list of this weekends’ sponsors.